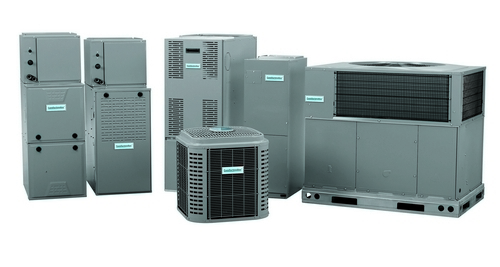 Comfortmaker® furnace and air conditioning units are backed by exceptional warranties, including our No Hassle Replacement™ limited warranty, which gives the original purchaser a one-time replacement unit if the covered component should fail due to defect within the first one to ten years, depending upon the particular unit. You also get a 10 year parts limited warranty upon timely registration. Contact us for more details! Change or clean your air filters. If you use disposable air filters, change them once a month. If you use electrostatic filters or an electronic air cleaner, follow the manufacturer's cleaning instructions. Look at your landscaping. Properly placed plants can save you money. Plant trees and shrubs so that they shade your air conditioner unit during the cooling season but do not block its airflow. This will help the unit run more efficiently. According to the U.S. Department of Energy, an air conditioner uses about 10% less electricity when working in the shade. Clean up the area around your outdoor unit. Clear away anything that could block airflow, such as weeds, plants leaves, trash or other debris. Clean everything indoors, too. Clear dust and dirt away from registers and vacuum return air grilles. A clean system works better, lasts longer and uses less electricity. Reduced airflow wears your home cooling system out. Seal the leaks. Seal leaks in your duct work, attic vents and around windows, doors and other openings to make sure the warm air stays inside your house. Check your downstairs registers. Make sure all main level registers are fully open and not blocked by furniture, throw rugs or other objects to allow consistent airflow throughout the house. Schedule a check-up. Regular preventative maintenance is the best way to ensure peak performance all year long. A professional check-up from Arctic Enterprises Inc. will address routine maintenance tasks you should not attempt yourself, such as checking refrigerant levels, checking for gas leaks, measuring airflow, checking and cleaning internal system components, checking electrical connections and more. Regular maintenance will keep expensive repairs at a minimum. Consider scheduling a check-up for your air conditioning system in the spring and a check-up for your furnace system in the fall. A well-maintained furnace and air conditioning system will operate more efficiently, consume less energy and last longer. Call Todd's IT at (800) 571-0558 to schedule a check-up.